ALERT is helping to lead international efforts to protect Chitwan National Park in Nepal from large-scale railroad and roading projects (see 'Heart of the Jungle' blog below). Chitwan is a global wonder--a World Heritage site that harbors over 700 wildlife species, including a fifth of the world's one-horned rhinoceros. -ALERT's recent press release on Chitwan was circulated to hundreds of media outlets globally, a number of which published the release or wrote brief stories about it. - The Ecologist has just published an excellent article on this issue, using information we helped to provide. - Members of the European Commission we briefed are showing strong interest in the issue, and are considering contacting the Nepalese delegation about it. - An online petition to protect Chitwan has just been started at Avaaz. Please sign the petition and ask your friends and colleagues to do likewise! This is still very early days and your help is needed. Please circulate the Avaaz petition and the link for The Ecologist story widely. In just a two-month period last year, poachers in northern India slaughtered 13 one-horned rhinos--one of the world's most critically endangered species. It's for this reason that ALERT is helping to lead efforts to protect the most important refuge for one-horned rhinos anywhere--Chitwan National Park in Nepal (see our press release on this issue). Chitwan: A haven for rhinos--for now. In Nepalese, 'Chitwan' means 'Heart of the Jungle', and its name reflects the astonish variety and abundance of wildlife there--over 700 species, including many of the Indian subcontinent's most spectacular animals. As a refuge for impressive wildlife, Chitwan really is the Serengeti of Nepal, despite being far smaller than Tanzania's iconic park. Among its denizens are a fifth of the world's one-horned rhinos. These animals are highly vulnerable to poachers, who slaughter the animals for their single horn--prized for traditional medicines and as a putative aphrodisiac in parts of Asia. Unfortunately, the Nepalese and Indian governments are planning to push a major leg of the East-West Railway right through Chitwan, as well as eight feeder roads. This is despite there being viable alternative routes for the railroad along the park's margins. It is likely that these projects will increase access to the park for poachers, and might fragment and disrupt the park ecosystem. Beyond its stunning natural values, Chitwan is important for people too. It attracts upward of 100,000 tourists each year and helps to sustain around 400 hotels and nature lodges--an important foundation of the regional economy. 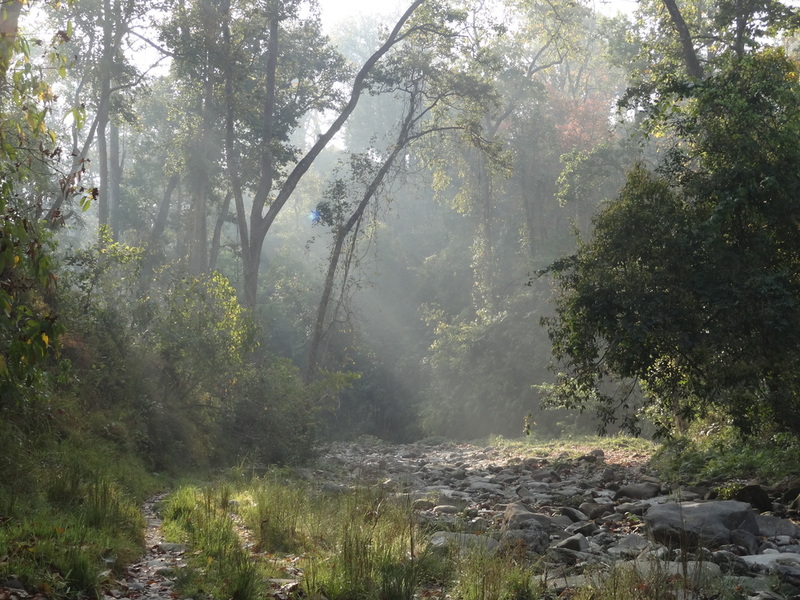 ALERT members urge the Nepalese government to take all steps to protect the 'Heart of the Jungle'.